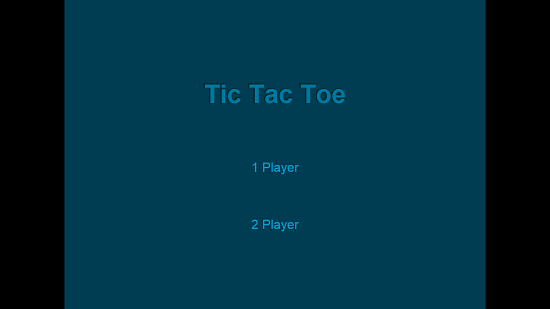 Tic Tac Toe is a free game for Windows 8 and 8.1 which allows you to play the Tic Tac Toe game on your device. On running the game, you will be taken to the main menu of the game from where you’ll be able to select from single player or two player game mode. If you choose the single player game mode, you’ll be able to select the difficulty level of the game. Once the difficulty level has been chosen, you will be taken to the gameplay screen where you can play by clicking on the appropriate cell in the grid of 3 by 3 to place your mark. 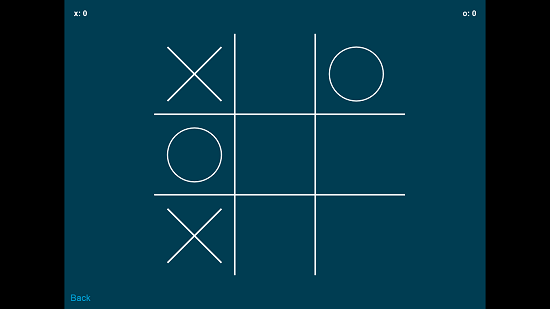 Tic Tac Toe is available for free from the Windows App Store. When you launch Tic Tac Toe on your device, you will be shown the below screen. In the main menu of the game, you can choose either 1 player or 2 player mode. If you choose the 1 player mode, you’ll be taken to the difficulty selection screen. If you choose the 2 player mode, you’ll directly be taken to the gameplay screen itself. You can see the difficulty selection screen below. Once you’ve chosen the difficulty level, you’ll be taken to the gameplay screen. The gameplay screen is shown in the screenshot below. It’s game over when either player (either you or the computer) wins the game. You can see the game over screen below where I had the X and I won the game. 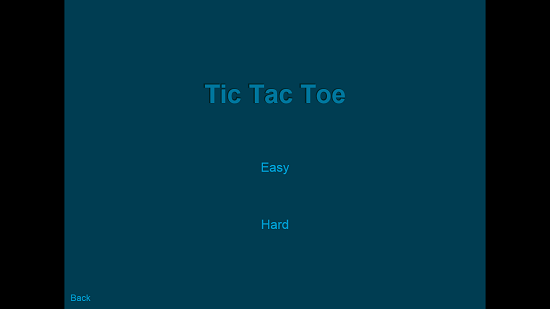 This wraps the main features of Tic Tac Toe for Windows 8 and 8.1 devices. 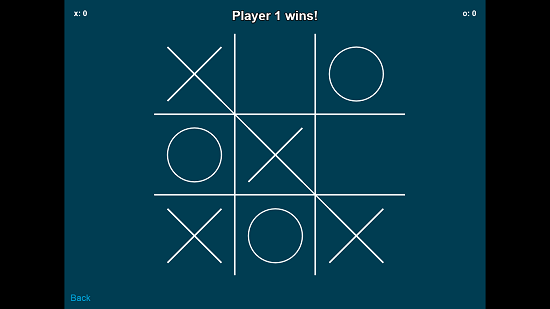 Tic Tac Toe is a well-designed game for Windows 8 and 8.1 which makes for a good download on all devices. The game is good to while away your time when you have nothing else to do.